What study programme suits me? You want to study engineering and aren't sure what programme is the right one for you? Or you are wondering what you should study? The Technical Orientation prep course on the Tuttlingen Campus can help by giving you insights into all of the following study programmes on the Tuttlingen Campus in the space of only 6 months: Medical Engineering, Production Engineering, Materials Engineering, Engineering Psychology and Mechatronics. This gives you the chance to you get a taste of our engineering programmes and the companies we work with, before you apply for your bachelor's programme. With the Technical Orientation prep course, you try out the various courses till you find your dream course at Furtwangen University! The Technical Orientation prep course gives you a realistic insight into everyday study life on the Tuttlingen Campus of Furtwangen University. The pre-study course helps you to make your choice of study programme, offers you the opportunity to get to know the labs and lecture theatres of the Faculty of Industrial Technologies and get a taste of what it's like to study with us. The course includes soft skills such as time management and presentation techniques, as well as engineering courses. The course is the ideal way to help you make your decision as to what to study. Upon successful completion of the Technical Orientation course you have a secure place on one of the technical bachelor degree programmes offered at Furtwangen University on the Tuttlingen Campus: Industrial MedTec, Industrial Automation and Mechatronics, Industrial Manufacturing or Industrial Materials Engineering. With every course you pass, you improve your admission grade for the bachelor's degree you take later on the Tuttlingen Campus. Some of the courses can also be accredited. This makes it easier for you to start studying at Furtwangen University! The introductory Technical Orientation course on the Tuttlingen Campus is carried out in close cooperation with industry. 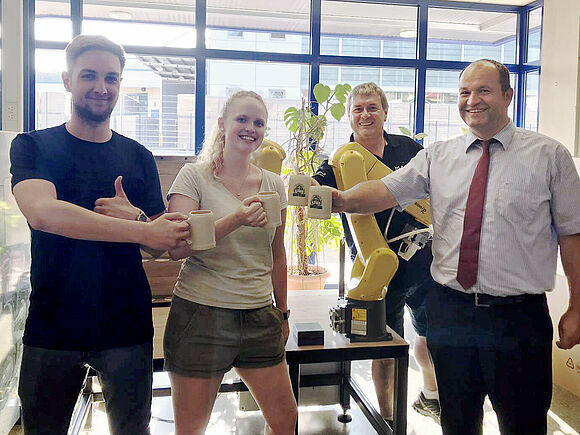 More than 100 companies are members of the Tuttlingen Campus Development Association who are actively involved in the teaching and design of the degree programmes. The pre-semester course is therefore workplace-related and up-to-date. On-site visits to companies in various sectors also take place allowing students further insights into engineering work, career opportunities and the everyday work of engineers. Apply now until 15 January!